What was childhood like for the princes and princesses in the Victorian and Edwardian period? 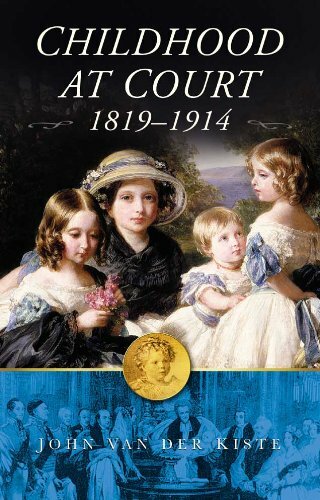 Here their education, recreation and general upbringing is discussed, from Queen Victoria's isolated and lonely childhood, to the children of King George V and Queen Mary. We see glimpses of Prince Waldemar of Prussia, who enjoyed collecting fossils on the Isle of Wight and terrifying his grandmother with a pet crocodile; Prince Christian Victor of Schleswig-Holstein, who was the first prince to attend public school despite enjoying cricket much more than education; and Prince Louis of Battenberg, who introduced the 'Katuf' into his family, and recorded his voice on a wax cylinder. Contrasts are drawn between childhood at the English court and that of the Queen's descendants at European capitals, as well as the differing attitudes of royal parents. For example, Queen Victoria found babies to be "very froglike", whereas Queen Alexandra still gave children's parties to her children when they were adults.